Philadelphia — ESI ThoughtLab released key findings from a worldwide benchmarking study of 136 cities that found that smart city investments trigger a robust cycle of economic growth by unlocking savings and attracting businesses, residents, and talent. The catalytic impacts associated with becoming a smarter city have the potential to increase GDP per capita by as much as 21 percent and population growth by 13 percent over the next five years for cities beginning their smart city journey. In addition to the 136-city survey of government leaders, the research program included diagnostic surveys of 750 businesses and 2,000 citizens in 11 representative cities, along with economic impact models for cities in different stages of smart city maturity. The 136 cities, covering 55 countries, ranged in size from 35,000 to over 37 million residents and represented approximately 10 percent of the world’s population. ESI ThoughtLab categorized cities into beginner, transitioning, and leader stages of smart city maturity by scoring their progress across 10 pillars of smart city development. These included five “foundational” pillars — smart governance, economy, infrastructure, talent, and funding — as well as five “tech-enabled” pillars — smart mobility, environment, public safety, public health, and payment systems. 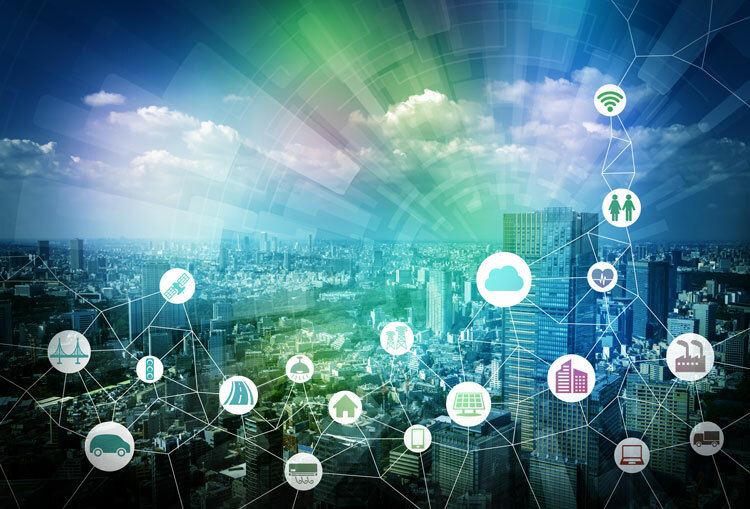 The study found that many beginner cities often jump into digital solutions before they lay down the foundational pillars, which are vital to long-term smart city success. Data is the rocket fuel for smart city transformation. Since many smart solutions are dependent on data, it is crucial for cities to make data management an area of excellence. This includes gathering and analyzing an array of data, making it accessible to stakeholders, and monetizing its value. By 2021, almost all cities will draw on IoT and real-time data, and the use of AI-generated data will grow fourfold. Predictive data, which is already employed by about 40 percent of cities, will rise in usage by 63 percent. Similarly, the use of both geospatial and behavioral data will rise by 54 percent. Keeping up with digital innovation is essential for smart city success. Cloud-based technology, mobile apps, citywide data platforms, IoT/sensors, biometrics recognition, and geospatial technology are now used by more than half of the surveyed cities. By 2021, these technologies will be table stakes for urban centers. While just 1 out of 10 cities now use more advanced technologies, these will skyrocket over the next three years: blockchain usage will grow by 752 percent, AI by 526 percent, drones/robots by 298 percent, Vehicles to Everything (V2X) by 257 percent, and VR/AR by 254 percent. Spending on smart programs rises with smart city maturity. As cities move up the smart city maturity curve, so does their spending on smart city projects as a proportion of their operating and capital budgets. For example, beginner cities allocate 15 percent of their capital budget to smart programs, while leaders apportion about 20 percent. For some pillars (mobility, environment, governance, economy, payments), the level of investment increases as cities become more mature, while for others the level of investment decreases (infrastructure, public safety, talent). City leaders see the environment as the top challenge to address through smart city programs, and improved public safety and health as the main benefits. For example, environment investments in smart grid technology generate annual per capita savings of $229.86 and reduce C02 emissions 223 pounds per person annually in beginner cities. Pollution reduction has positive effects on health, particularly for sufferers of chronic obstructive pulmonary disease (COPD), for whom treatment with smart public health technologies such as telemedicine can reduce annual healthcare costs per capita by $24.83. In public safety, technologies such as predictive policing reduce violent crimes by about 5 percent and property crimes by about 10 percent, leading to a potential savings of $420.33 per capita for beginner cities. Funding smart city solutions remains a key challenge for most cities. Urban leaders need to be creative and resourceful in finding ways to fund their future. In three years, public-private partnerships (65 percent) will be the dominant financing technique, followed by concession financing (60 percent), revenue share financing (60 percent), and department budgets (59 percent), which will all grow in use over current levels. Federal and state support will grow the most in use over the next three years, by 71 percent and 58 percent, respectively. For more information visit: https://econsultsolutions.com/esi-thoughtlab/smarter-cities-2025.